The definitive history of the world-renowned watchmakers, Patek Philippe. Founded in Geneva in 1839, and to this day a family-owned company, Patek Philippe makes what are widely regarded as the world’s finest mechanical watches. Among them, the most valuable watch ever made: the famous 1933 pocket watch known as the “Graves” supercomplication, which sold at auction in 2014 for $23,934,00. A cult among collectors, Patek Philippe and its timepieces have been treasured by kings and princes, rock stars, and sportsmen. Notable customers of the storied Swiss watchmaker include Queen Victoria, and her great-great-granddaughter HM Queen Elizabeth II. Drawing exclusively on interviews with the company’s owners and with staff and watchmakers past and present, as well as on hitherto unseen documents from the company’s archives, Patek Philippe: The Authorized Biography, celebrates the history of a unique company. Nicholas Foulkes traces the Patek Philippe history from founder Antoine Norbert de Patek’s early life in Poland as a young cavalry officer fighting in a doomed uprising. 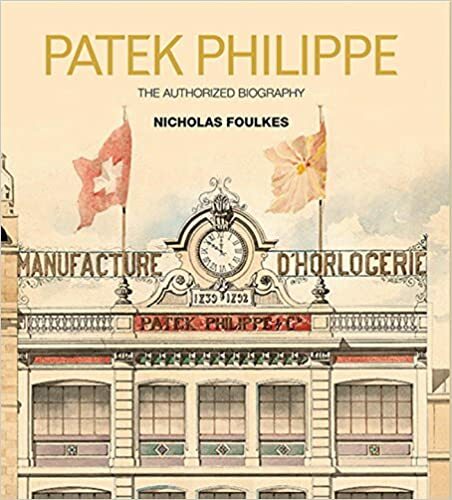 He recounts Patek’s exile, his life in Geneva, his meeting with gifted watchmaker Jean Adrien Philippe, and the 1932 purchase of the company by the Stern family who, over four generations, have turned it into the legend that it is today.